If your not loosing weight you may not be creating a calorie deficit, I know I don’t! I come in hungry and eat what ever. Hence despite burning over 50000 calories since I started, I haven’t actually lost any. 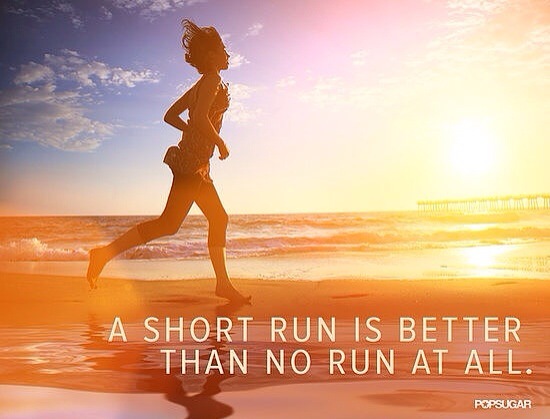 As for the run streak, I always have a rest day, I run 4 times a week and it’s enough for me. Do you keep track of how much you eat? With all of your increased running you may be eating at a level that is appropriate if you want to maintain your weight at your activity level but not appropriate for weight loss – possible to do even while eating healthy! Another possibility is that for the first few weeks of a change or increase in exercise I hold on to water weight and may even gain weight – this could be happening to you. I think what is important with rest days is listening to your body. Some people need none. Some people need a lot. I’d say that if you are in pain you need some. You might not necessarily need a break from running. Why not try giving yourself 1-2 rest days a week instead of taking a break from exercising overall? Perhaps even try replacing one day of running with only strength training and/or stretching so that you are still active and are not only avoiding injury from running too much but also preventing potential injuries by becoming stronger and more flexible. I did not keep track of everything I ate but I mentally noted the calories each time. I used my fitness pal for a long time so I know roughly how much everything is that I am eating. I have limited myself to 1200 calories (and today I am starting again on the app). Maybe you’re right, because I wasn’t actually tracking it in an app or writing it down, I wasn’t creating enough of gap to create weight loss. I am going to rest now and try to do something else.